Twitter lists are the social network’s most underrated feature, but one of its most useful. You can use lists to follow a carefully curated The Absolute Best Ways To Follow The News On Twitter The Absolute Best Ways To Follow The News On Twitter Twitter is the coolest, most user-friendly way to keep up with the news of the world, yet sometimes we still over-complicate it. With all of the different accounts and followers and feeds flying around, it... Read More topic without flooding your home feed Drowning In Tweets? How To Use Twitter Lists To Unclutter Your Feed Drowning In Tweets? 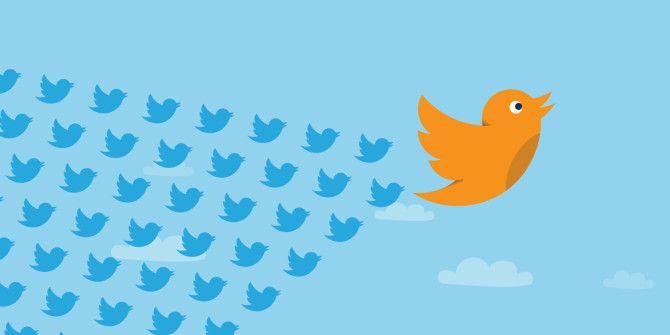 How To Use Twitter Lists To Unclutter Your Feed By default, Twitter shows tweets from everyone you're following in one huge stream. Things tend to drown. Learn how to use Twitter lists to tame your Twitter feed. Read More , and can easily share those lists with others. There are many paid options, but most are quite costly. These two following options are the easiest and most cost-effective ways to export or backup your Twitter lists. While you can’t export or back up Twitter lists from the Twitter homepage, Twitter’s own TweetDeck offers an easy solution. Click the +/Add Column button in the menu on the left to add a column. Select List as your column type and select the list you want to export. You will have to repeat this step for each list you want to backup. Once the column has been added, click the settings button in the top right hand corner to open up the column menu. Click the Export list button. A window will pop up with a list of all the Twitter usernames. Click the Copy list button. You can now paste that list into a Google Doc, a Word document, spreadsheet, an email, or anywhere else you want to save it for safekeeping. The Twlets Chrome extension can be used to to export your Twitter lists, as well as your followers, following, likes, replies, and more. Twlets also lets you export this content from other Twitter users. To back up your Twitter lists, install the Twlets extension. Click on the button in your Chrome browser and you will be taken to the Twlets page where you can log in with your Twitter account. Right-click the button and go to Options to set up the file format for exporting your lists. You can choose Excel, CSV, or HTML. Now go to the list you want to export and again click the Twlets extension button. This time, a dialog box will open up allowing you to save your Twitter list in the format you selected in your options. Twlets is free for the first 1,000 items exported. If you have a list with 35 members on it, that will count as 35 items to your 1,000 limit. If you decide you wish to continue using Twlet beyond the 1,000 item limit, $5 will get you either 25,000 credits or an unlimited number of exports for one day. There are additional pricing options for unlimited downloads for a period of three days, one week, one month, and one year. However, with Twlets you can only export lists with up to 5,000 members. Each of these solutions are less than ideal due to the fact that, as you add more users to your lists, you will have to go through this process again. That said, it’s a small price to pay to ensure that you don’t lose your Twitter lists. How do you keep you ensure you won’t lose your Twitter lists? Let us know in the comments. Explore more about: Data Backup, Twitter.